Usually, the most common way we realize we have halitosis (bad breath) is when someone close to us, like a friend or a family member tell us “psst, psst, you have bad breath!”, and then we feel completely embarrassed trying to figure out who else did you talked to. Ouch! So we wonder WHY we didn’t realize sooner? In fact there might be several reasons why is very difficult for us to smell our own bad breath but most of them are still hypothesis. First is the theory that we are too accustomed to our own body odors. The idea might be valid. The same can happen with the environment in which we live. Have you noticed that you can detect subtle smells of your house until you return from a vacation? The same can apply to breath; Maybe you’re too used to smelling it that you just tune it out. Another reason might be that we exhale/inhale differently when talking than how we do it during breathing. When you speak, you are more likely to agitate the back of the mouth, which is where halitosis is formed. The next idea is that our inability to smell our own breath – or the inside of the nose, for that matter – is an evolutionary development. According to this particular theory, it would be overwhelming for the nose to constantly pick up the smell of respiration beneath it, and this could prevent it from detecting other more important odors for safety and survival. As a result, the mind learned to block the smell of the nearest neighbor of the nose. So how do you know if you have bad breath? Common methods include licking and then sniffing the inside of the wrist, or examining the tongue in the mirror to see if it is covered by a whitish hue. That white stuff in your mouth is plaque build up, just like the one you get on your teeth, and it means it is full of bacteria and food debris. It is recommended that beside the regular tooth brushing and flossing you also scrap your tongue with a spoon to work on getting rid of this accumulation of yeast and bacteria. Make sure to also visit your dentist regularly at least once a year to check on your oral health as also many mouth diseases and infections can cause bad breath. 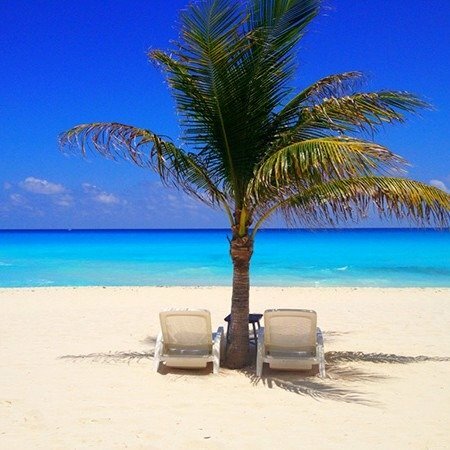 Reasons to Visit Isla Mujeres? Get affordable dental implants and sinus lift in Cancun! Exclusive look at Cancun Cosmetic Dentistry!